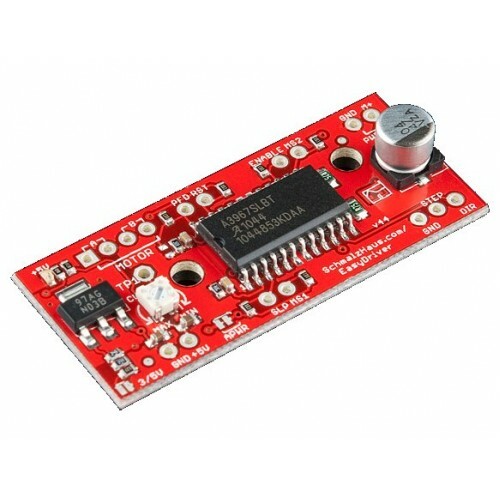 The EasyDriver Stepper Motor Driver from Sparkfun is a simple to use stepper motor driver, compatible with anything that can output a digital 0 to 5V pulse (or 0 to 3.3V pulse if you solder SJ2 closed on the EasyDriver). 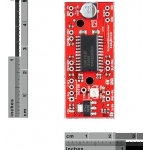 EasyDriver requires a 7V to 30V supply to power the motor and can power any voltage of stepper motor. 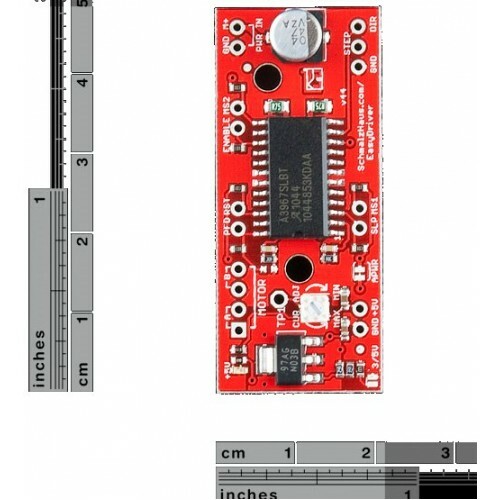 The EasyDriver has an on board voltage regulator for the digital interface that can be set to 5V or 3.3V. Connect a 4-wire stepper motor and a microcontroller and you've got precision motor control! 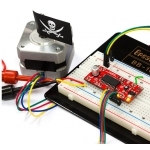 EasyDriver drives bi-polar motors, and motors wired as bi-polar. I.e. 4,6, or 8 wire stepper motors. On this version (v4.4) we fixed the silk error on the min/max adjustment.